Elements Of Power: F-22 Problem: Man or Machine, or Both? F-22 Problem: Man or Machine, or Both? 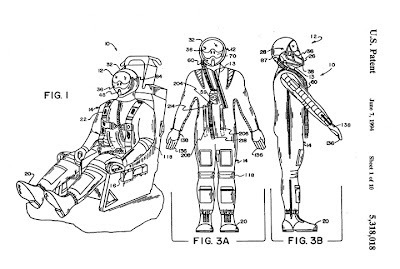 While pilots need counter-pressure from the vest-like pressure garment to exhale at low cabin pressures found in the Raptor's cockpit, the Combat Edge and associated breathing systems might be providing too much pressure especially under g-loading. "It just seems a little weird to breathe of off this thing," one source says. "Because you can't expand your lungs as easily because you have something restricting you." The extra load imposed on the pilots by the added pressure under g-forces could be causing them to "over-breathe the system". A compounding factor may be a condition known as acceleration atelectasis. The condition causes the pilot's lungs to have trouble bringing oxygen to the blood system because pure oxygen--93% oxygen in the Raptor's case-- and high gravity loads set up the pilots for a condition where the air sacs in the lungs suffer partial collapse. The result of acceleration atelectasis is the so called "Raptor cough"-where F-22 pilots have a pronounced cough as the pilot's body attempts to re-inflate the sacs under normal atmospheric pressure on the ground. Earlier tests would not have caught the problem because the breather device used to test the Combat Edge system does not compensate for pilot's lungs being unable to expand as readily. The breather device always draws the same volume of air. The longer the investigation goes on without finding anything wrong with the F-22 Oxygen system, the more likely the problem is to be found elsewhere. 1. The 'Combat Edge' ensemble is NOT a Lockheed Martin product, nor was it developed exclusively for the F-22. 2. I bet some in the Air Force/DoD are wishing they'd have gone with the Puma Suit about now. My apologies for not posting more this week. I have a lot of things I'd love to blog about but between work (getting ready for another trip to Crazytown DC) and home stuff that just has to get done, there's not been time for much else. Did 'guide' my daughter's boyfriend onto a feral pig Saturday, but that counts as a pest control chore (2 down 5 known to go). As alluded to in the previous post, I plan to start posting a short series over the next week or so illustrating how in 'Reformerland' all the defense acquisition programs that are already over were the "cat's meow" compared to whatever we're doing now....except Reformerland is delusional. ah...a nice pig hunt...plus you get some solo time with the daughters boyfriend? i bet he took notice of how you're able to track down and kill pests! love it. LOL. He's a good guy who has hunted his parent's ranches, and now his own place as well since he was 10. I was only 'guide' becasue it was my brother's place. He heard the pigs coming before I did and I was wearing my Howard Leight's turned up high. I might go out again this weekend. The Turkey hens are looking to start laying and the does are starting to drop fawns. No time to let pigs run amok.